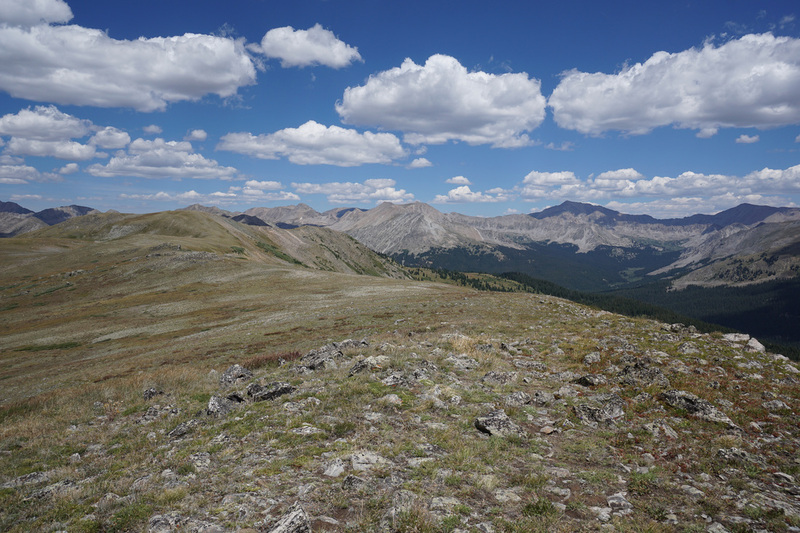 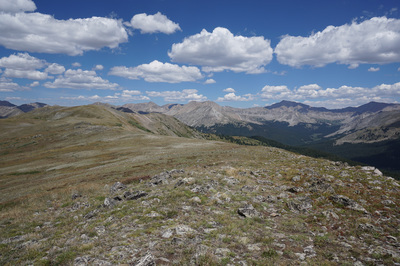 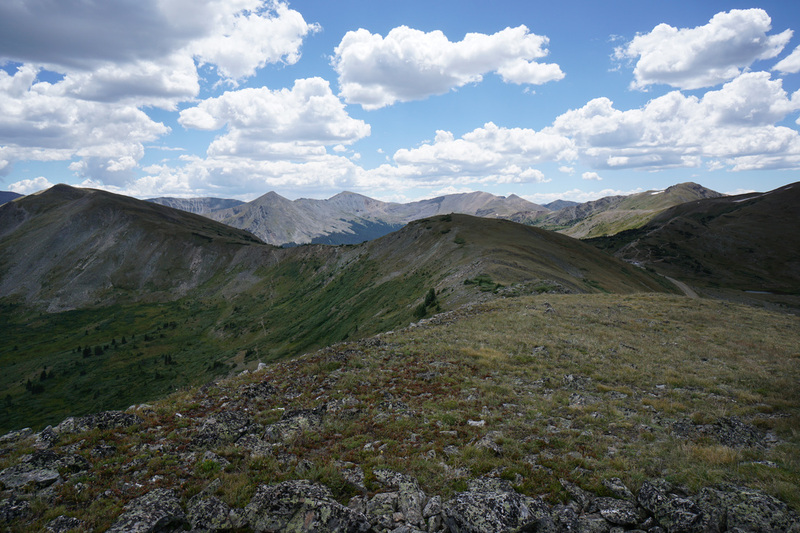 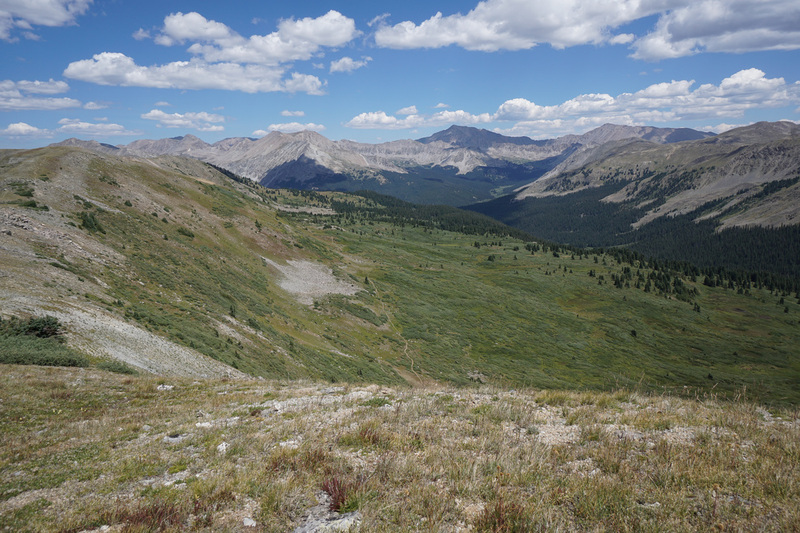 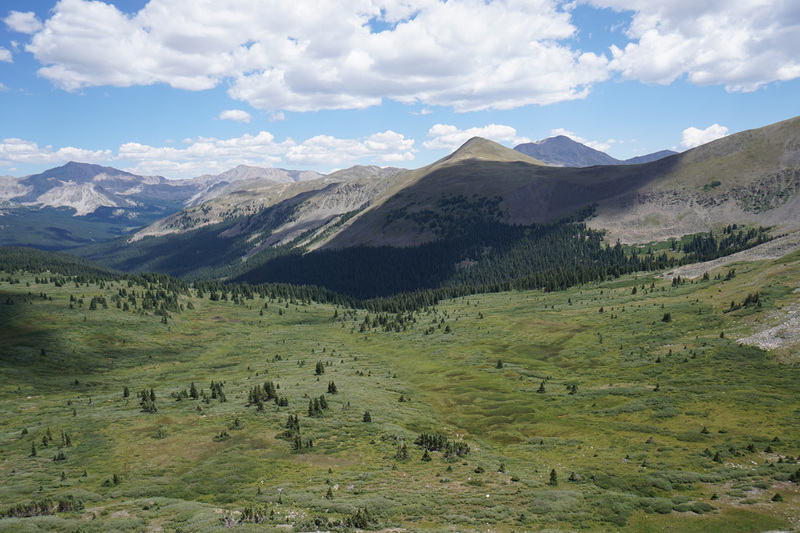 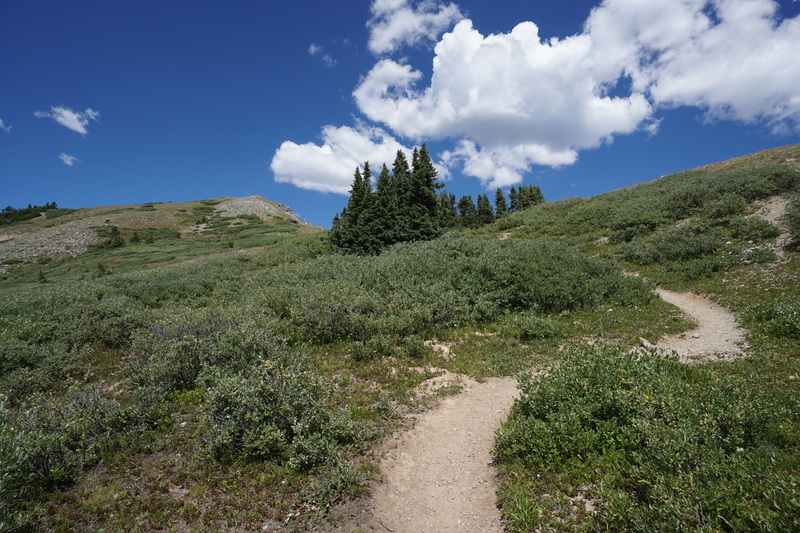 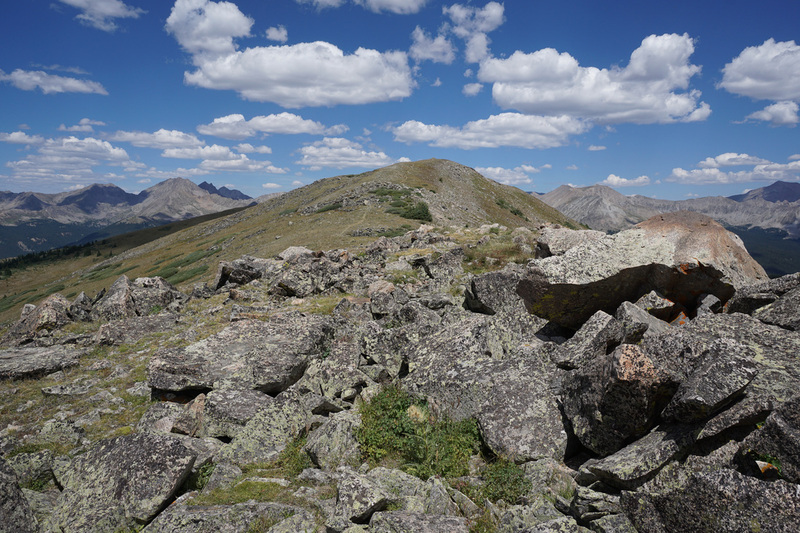 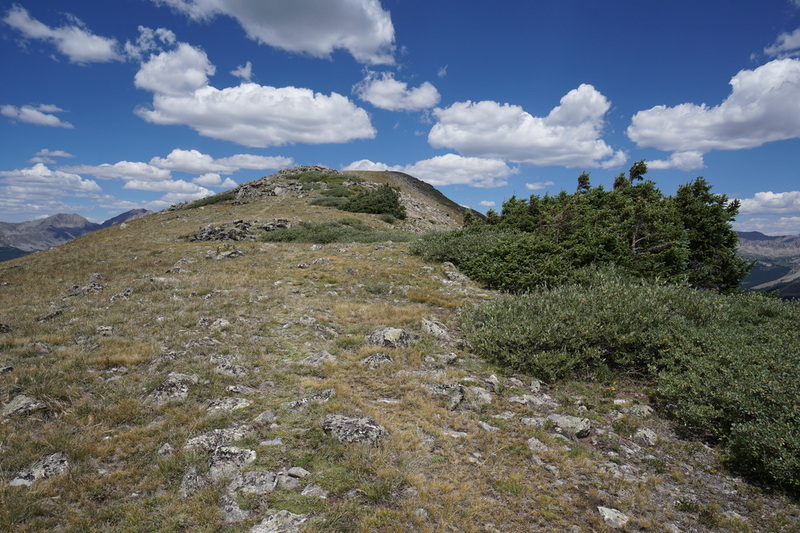 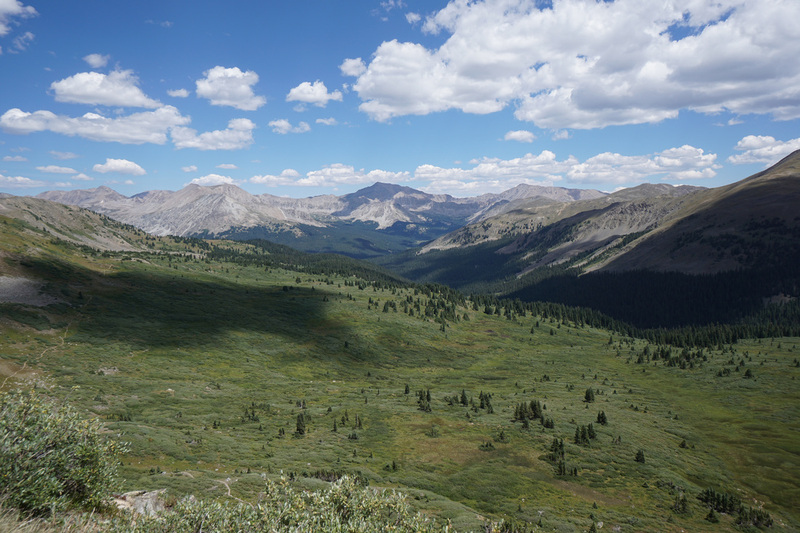 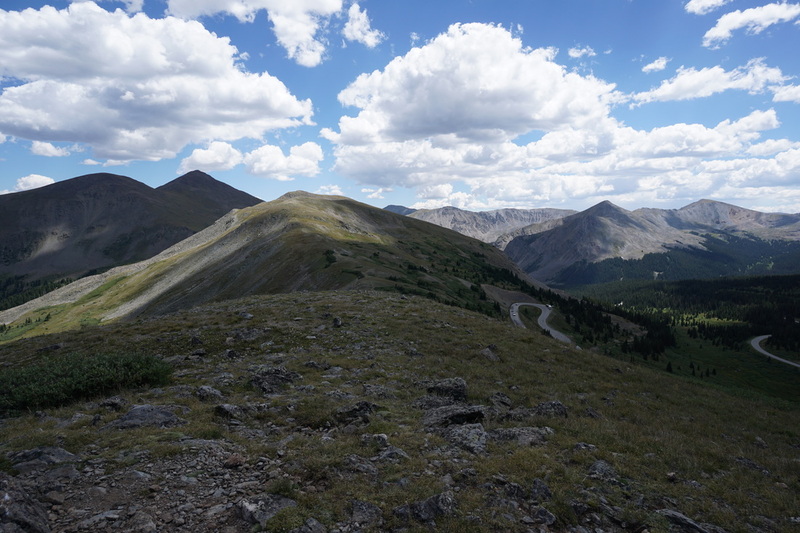 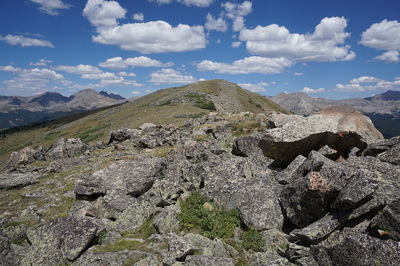 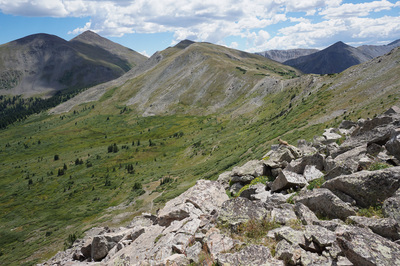 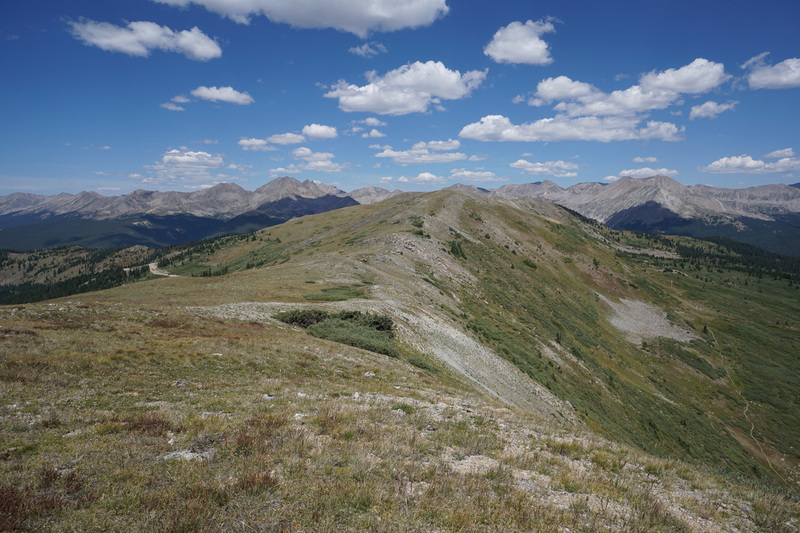 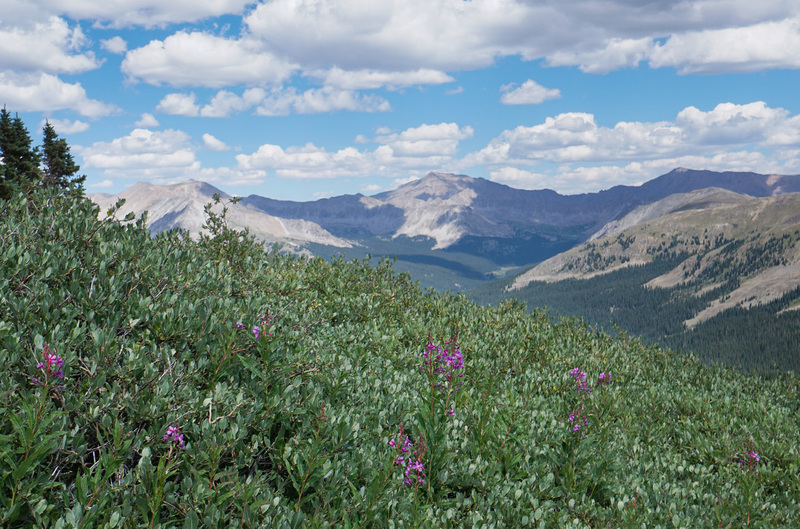 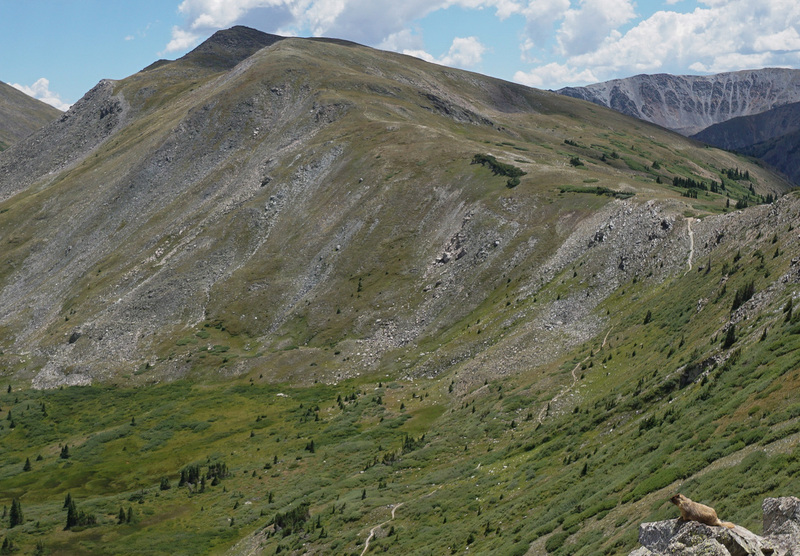 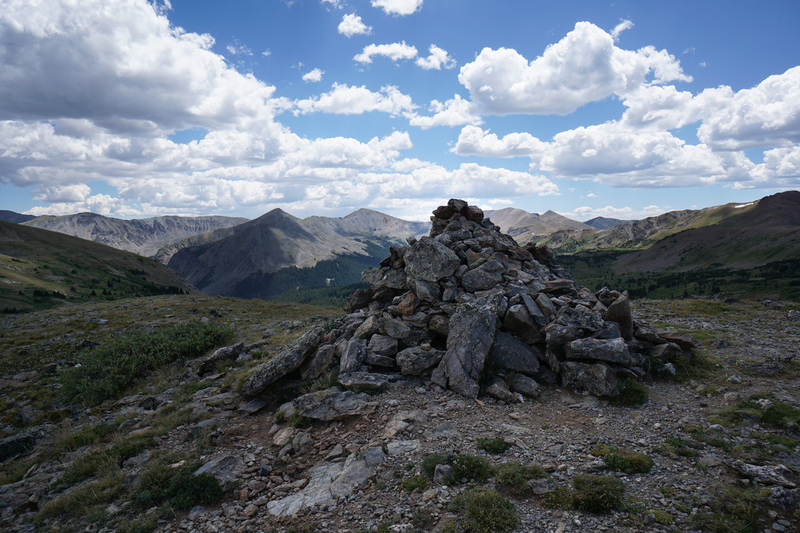 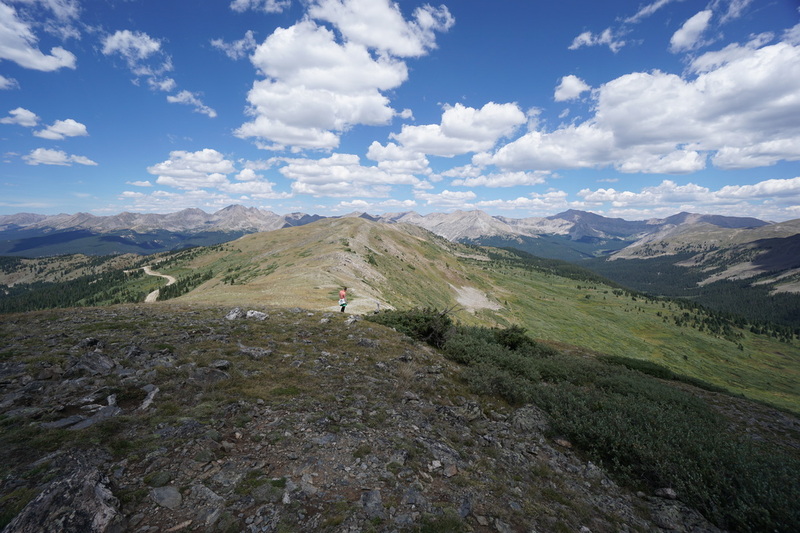 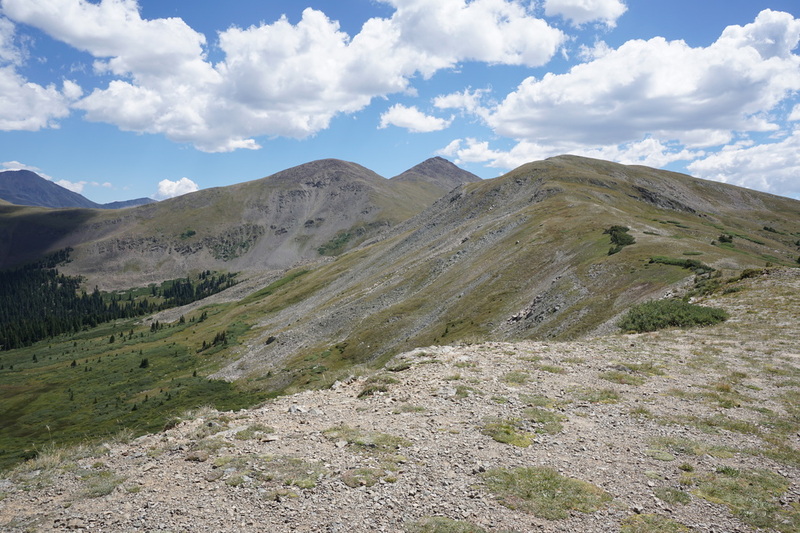 Directions: This hike starts at the summit of Cottonwood Pass located in between Buena Vista and Crested Butte. 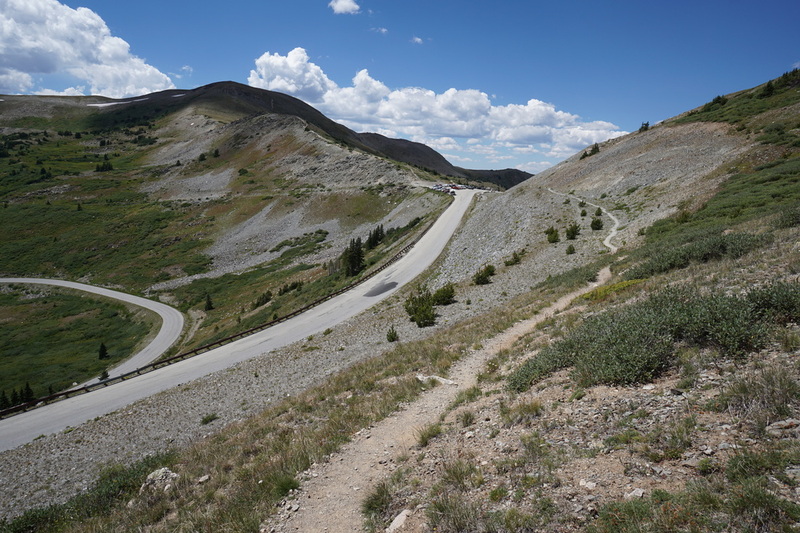 From Buena Vista, travel west on County Road 306 for 18 miles to the summit of Cottonwood Pass, the road is paved the entire way to the pass. From Crested Butte head south on 135 and turn east onto CO Road 813. 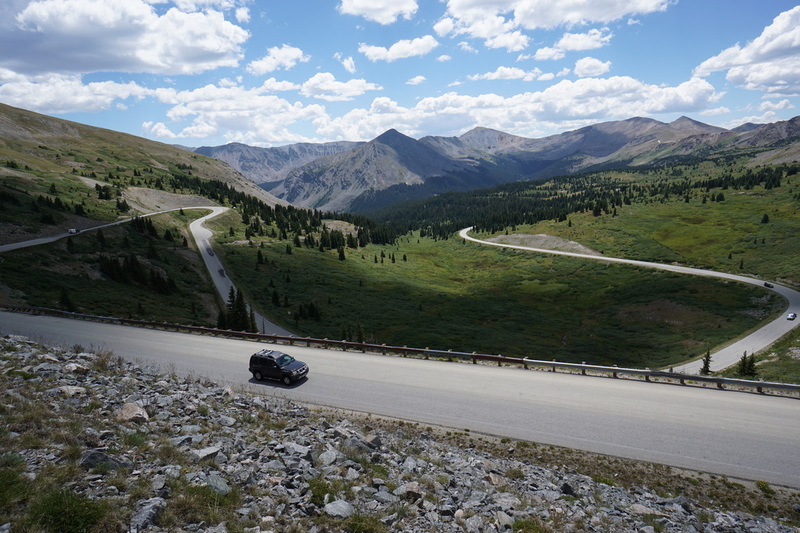 The road is narrow in places and dirt but should be ok for most cars in good weather. 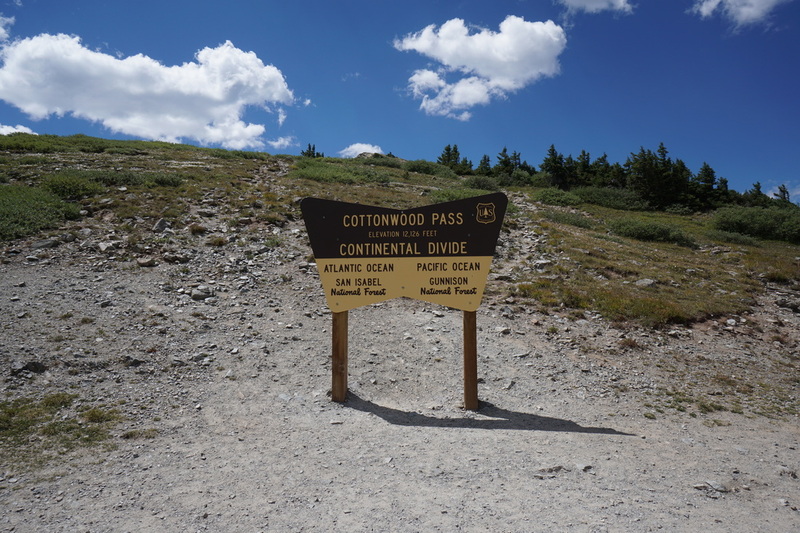 Turn left onto 742, paved for a while, then good dirt, and follow it west to the Taylor Park Reservoir, follow signs to Cottonwood Pass. 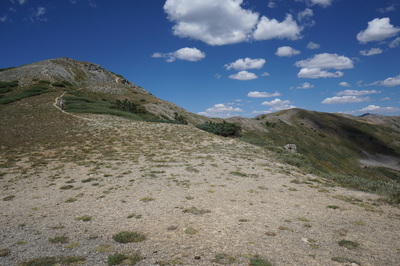 There is a large parking area at the summit of the pass. 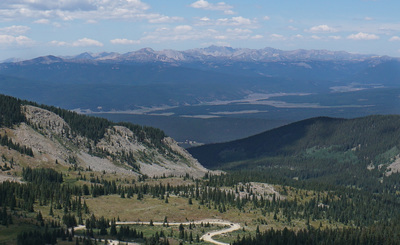 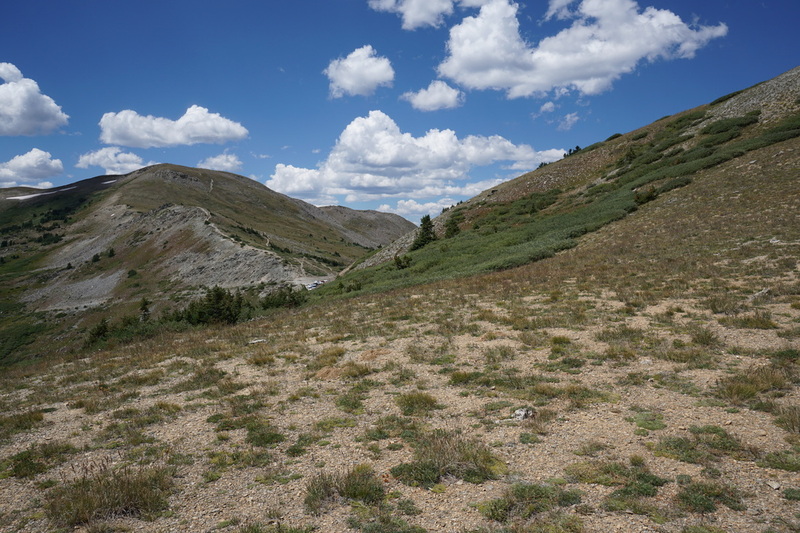 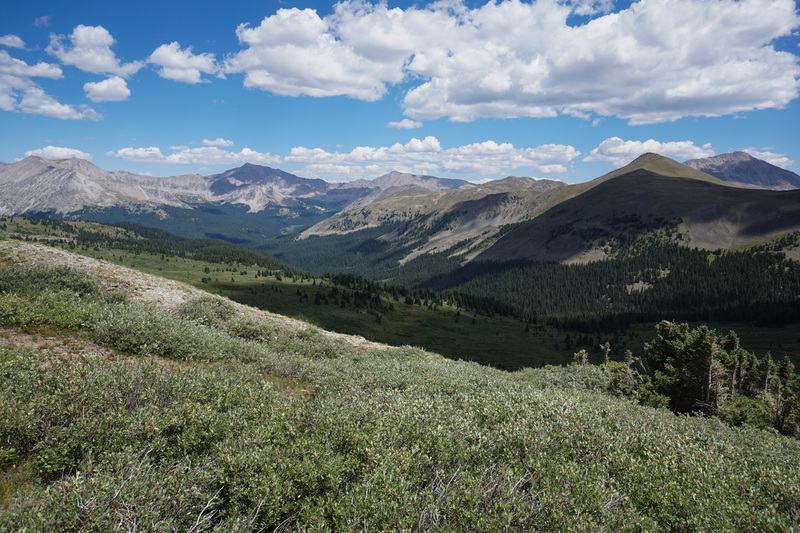 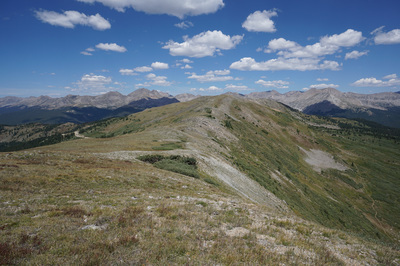 Cottonwood Pass sits high in the Sawatch Mountains on the Continental Divide at the edge of the Collegiate Peaks Wilderness Area. 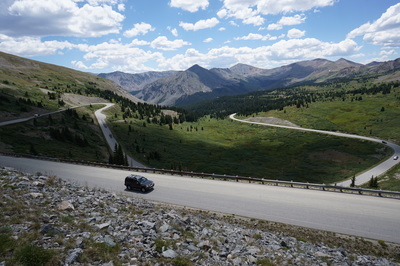 The views from the pass are incredible but with just a short climb, the views get even better. 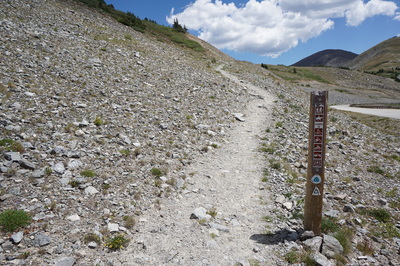 There are multiple choices for hikes from the parking area. 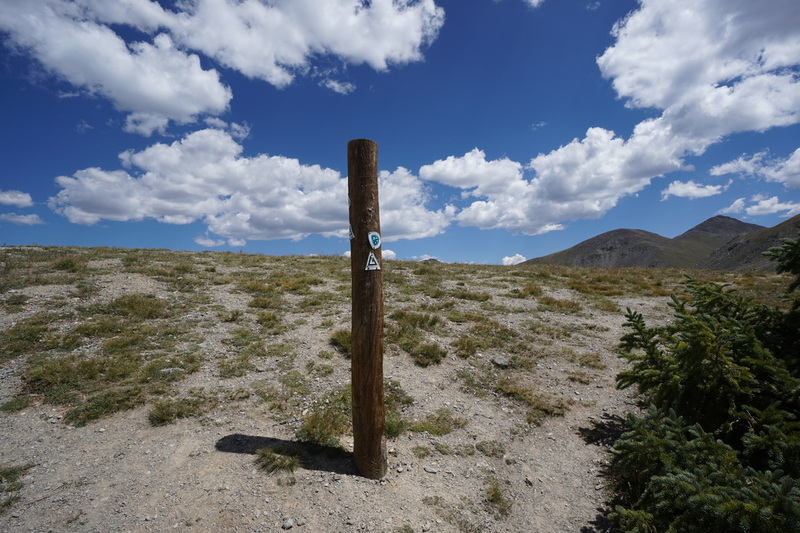 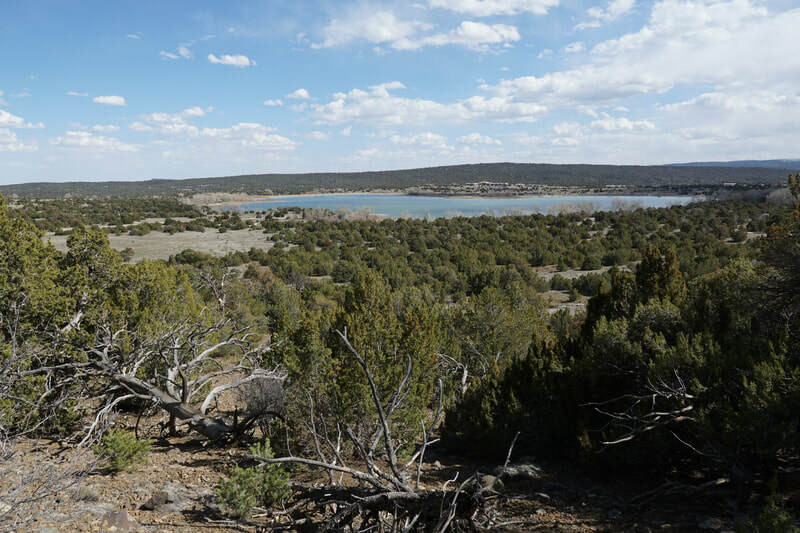 The official trail that crosses the pass is the South Texas Creek Trail, which is also part of the Colorado Trail and the Continental Divide National Scenic Trail. 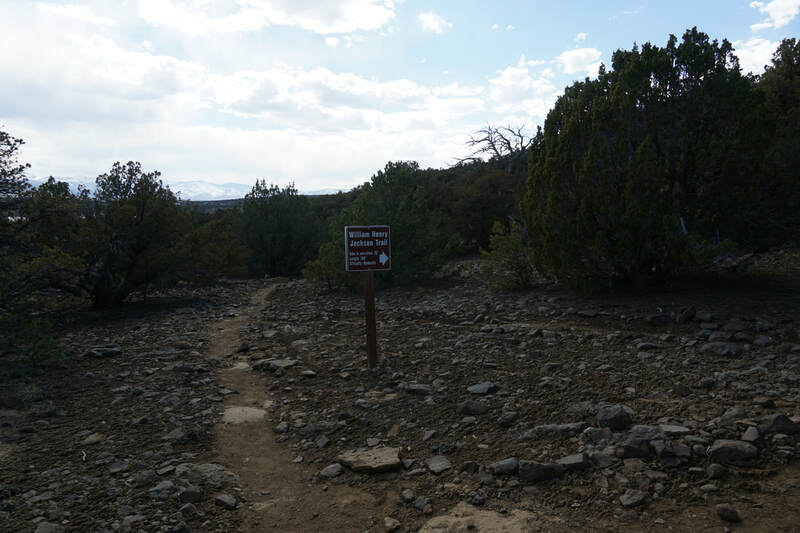 However, this hike description follows one of 3 (at least) unofficial but well worn trails exploring this area. You have 2 immediate choices from the parking area, head south at the trailhead or cross the road and head north, this description heads north. 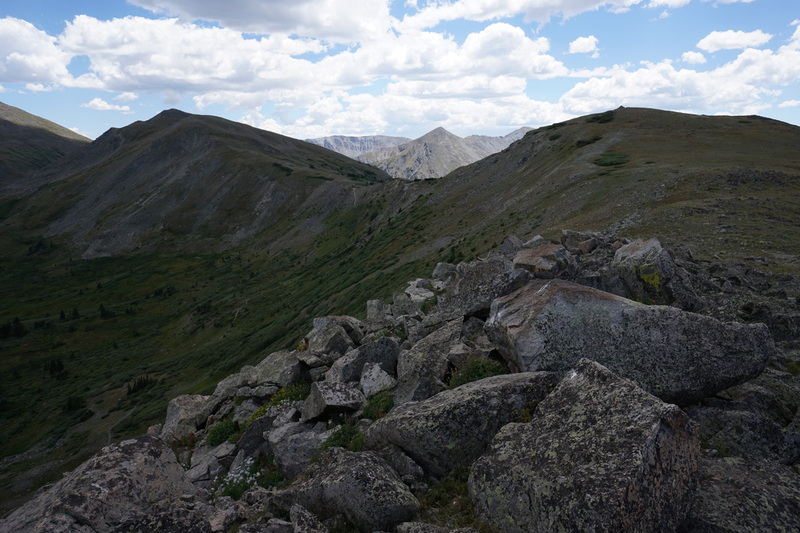 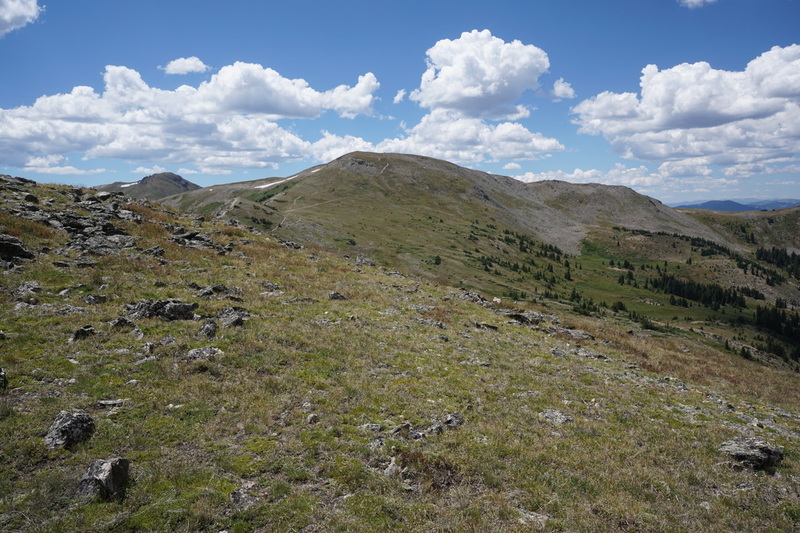 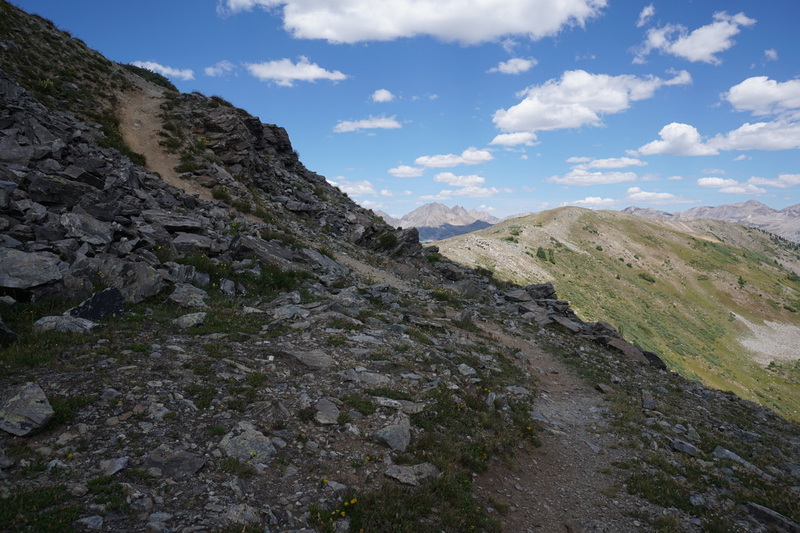 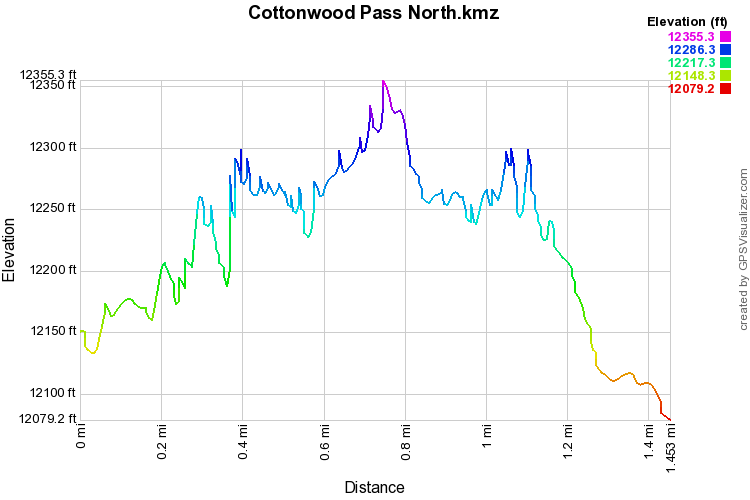 You start up the CDT/CO Trail/South Texas Creek Trail to a saddle a few hundred feet above the pass. 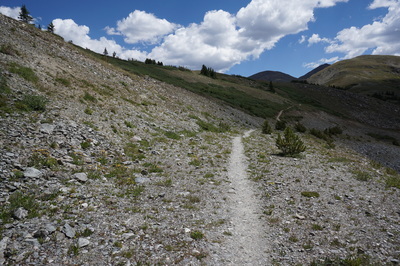 From here, you can either go straight on the S. Texas Creek Trail, turn right and follow the ridge up towards Turner Peak (13,233) or turn left towards point 12,126 and the ridge beyond, turn left. 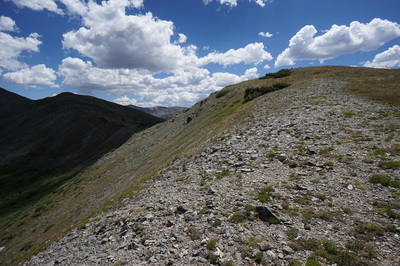 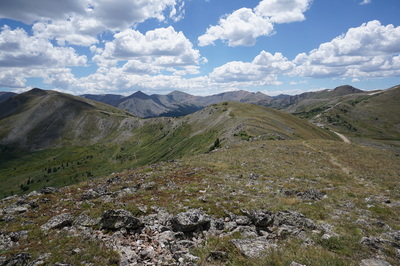 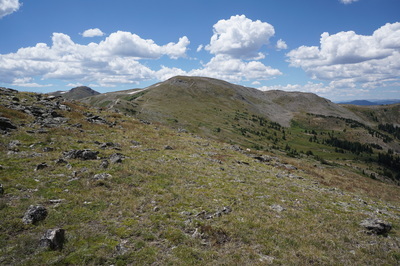 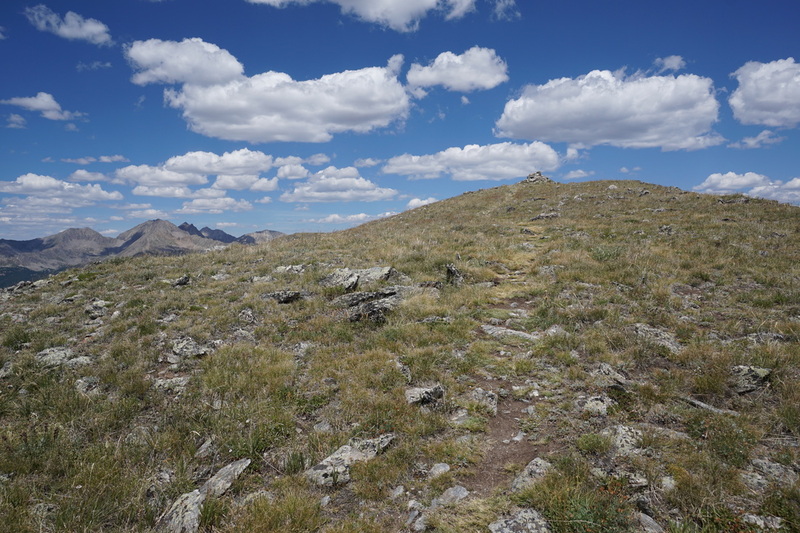 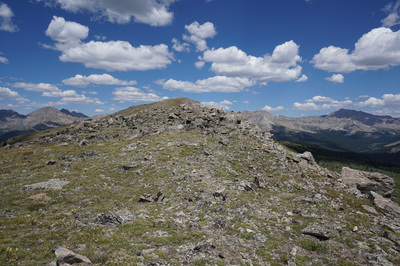 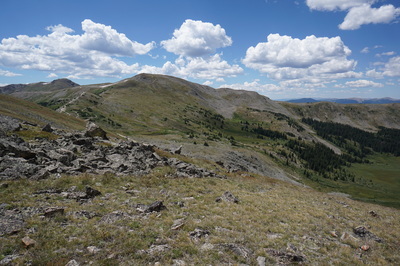 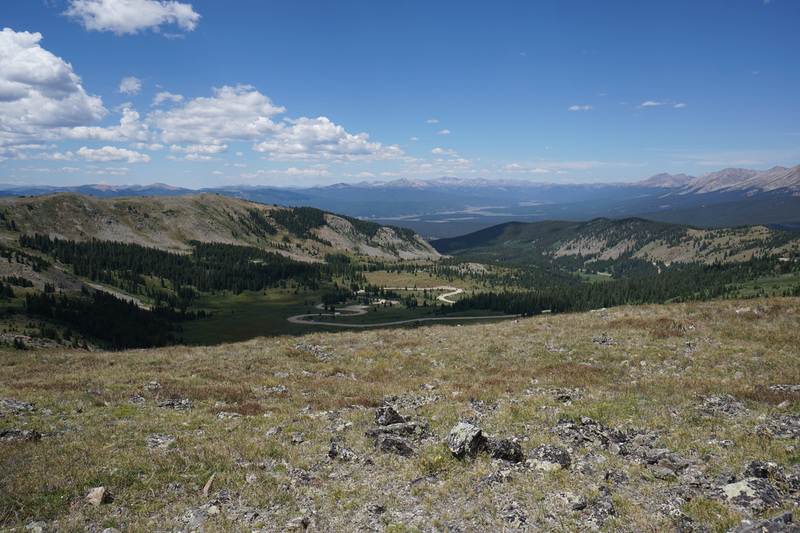 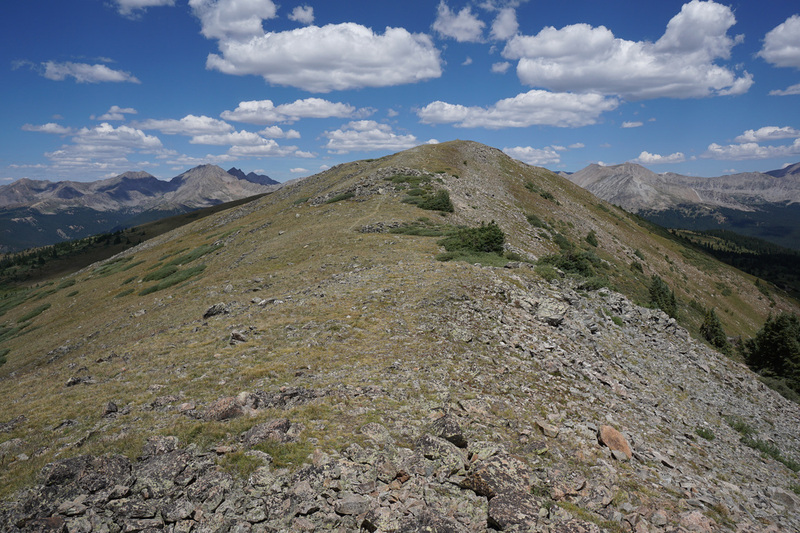 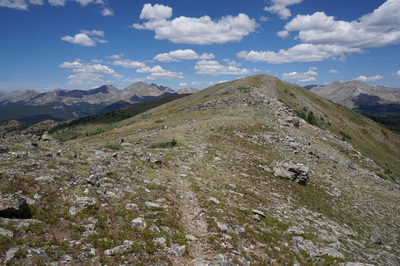 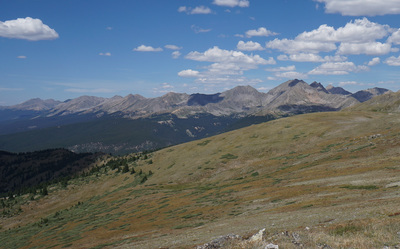 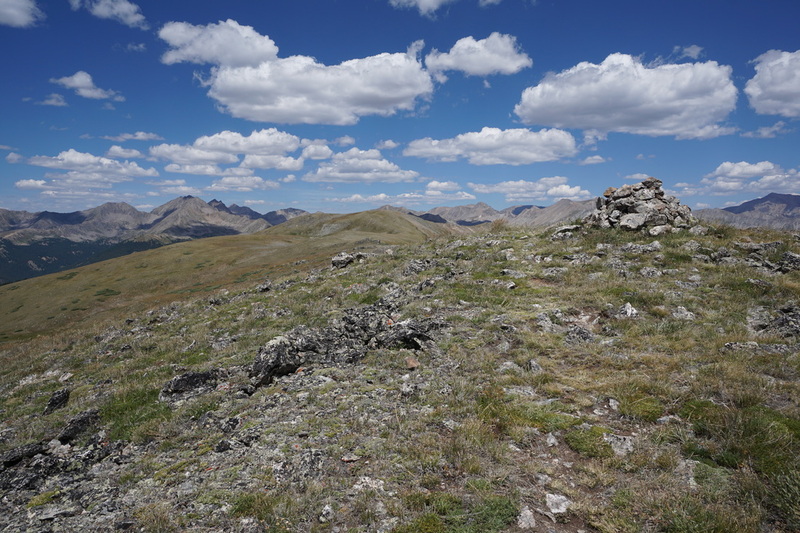 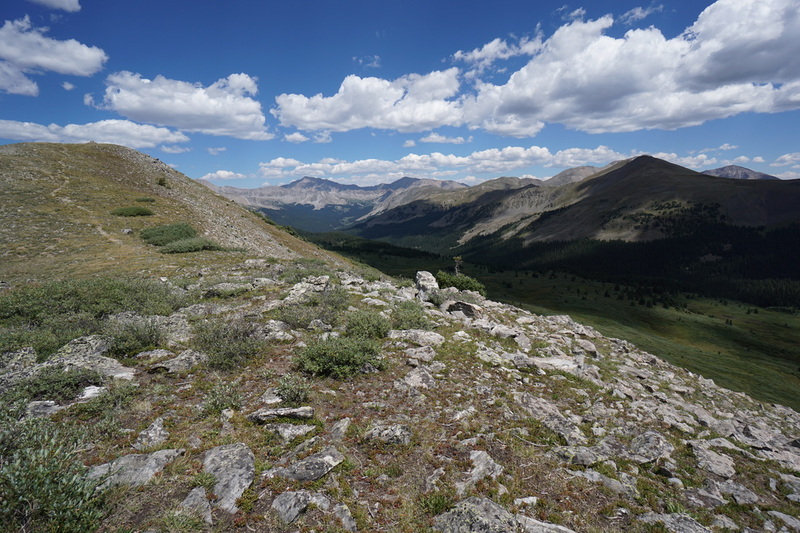 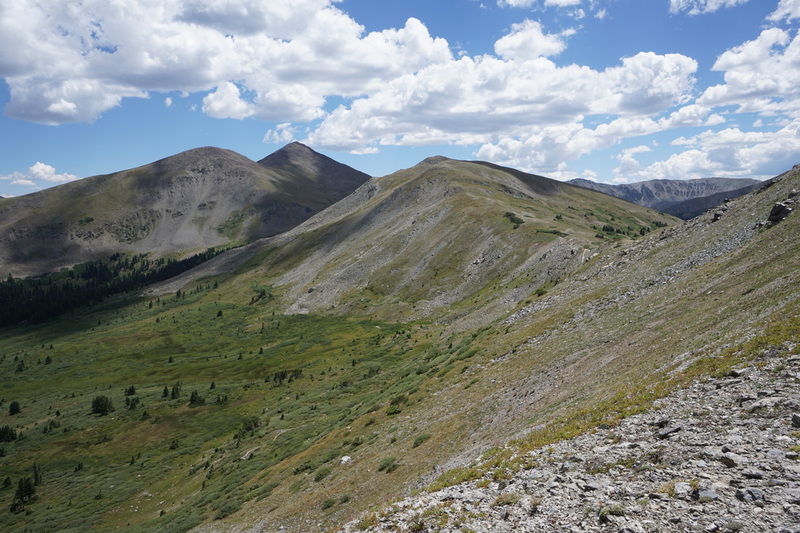 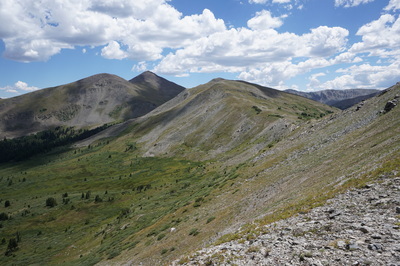 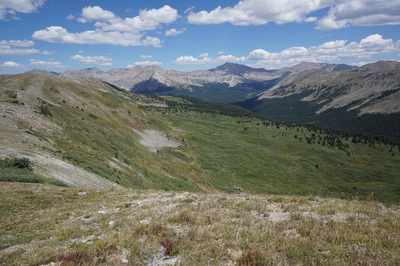 This ridge runs north, connecting various unnamed points with amazing views of the Collegiate Peaks the entire time. The most prominent peaks from the ridge are Mt. 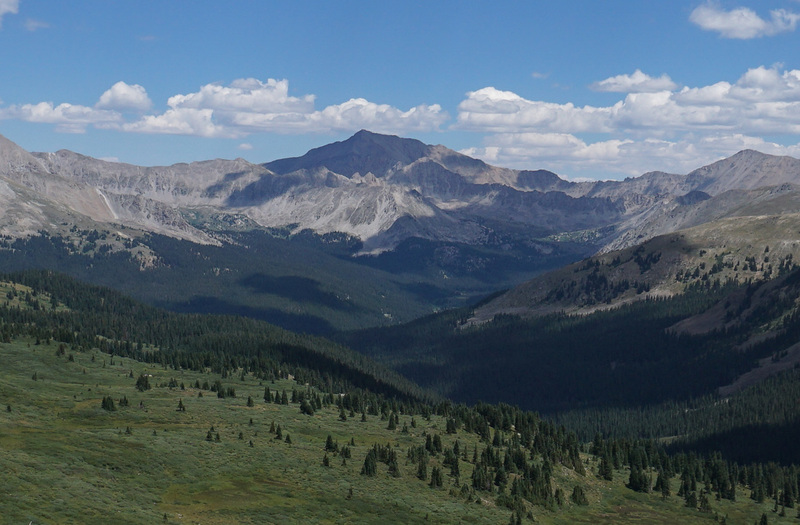 Harvard (14,420 ft), the pyramid shaped peak at the head of the valley due north, and Mt. 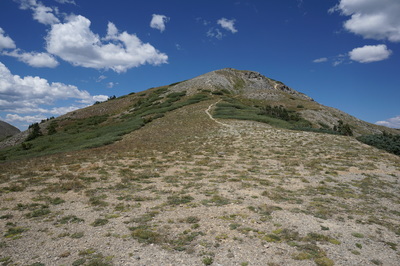 Yale (14,126 ft) across the ridge from Harvard. 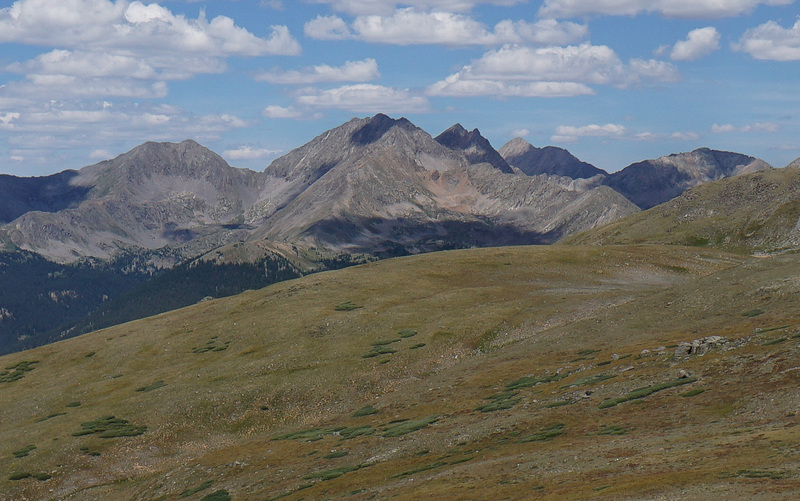 Also of note is the Three Apostles; West Apostle, Ice Mountain, and North Apostle...three incredible 13ers. 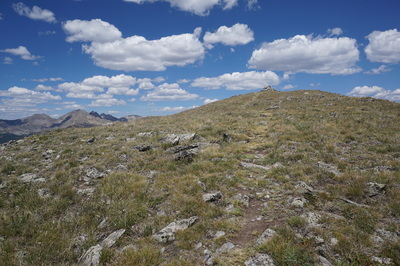 Follow the ridge as far as you want, the furthest summit point is about 1 mile from the trailhead. The views of the Apostles get better as you go, but point 12,454 and it's large cairn makes for a good turnaround point.